They serve foamy almond flat whites that make you go mmmmmmmmm. 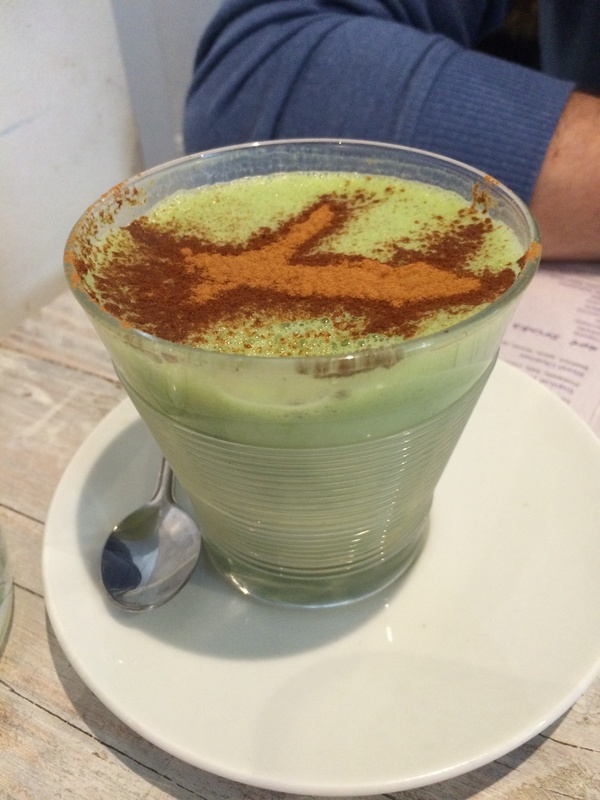 And matcha lattes that make you go ahhhhhhhhh. They make oodles of noodles which are made of courgette. Spiralised into thick ribbons, covered in a light sauce of tomato and the freshest black olives – it felt like eating real pasta again! But better. 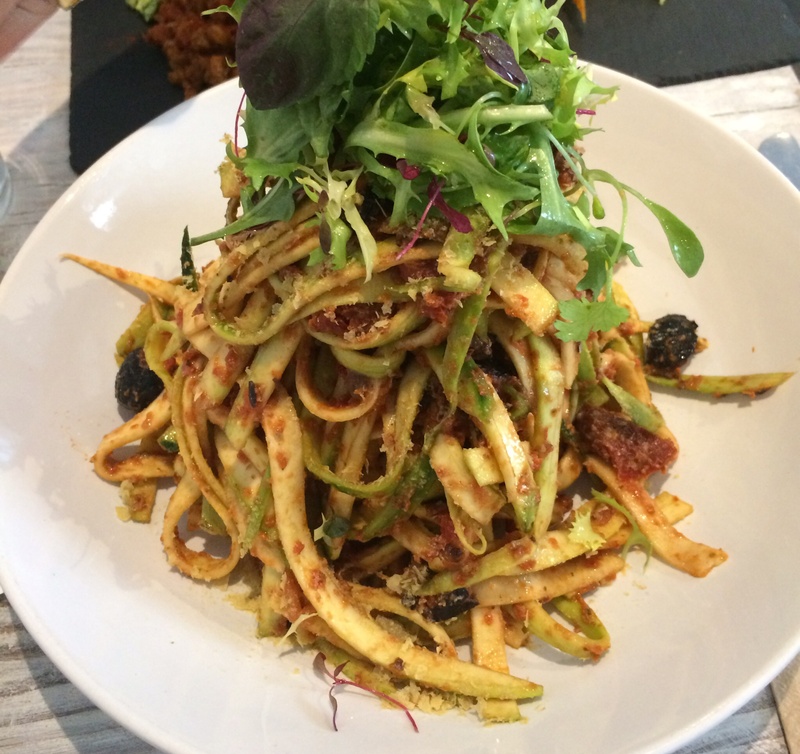 I am now a total courgetti spaghetti convert. 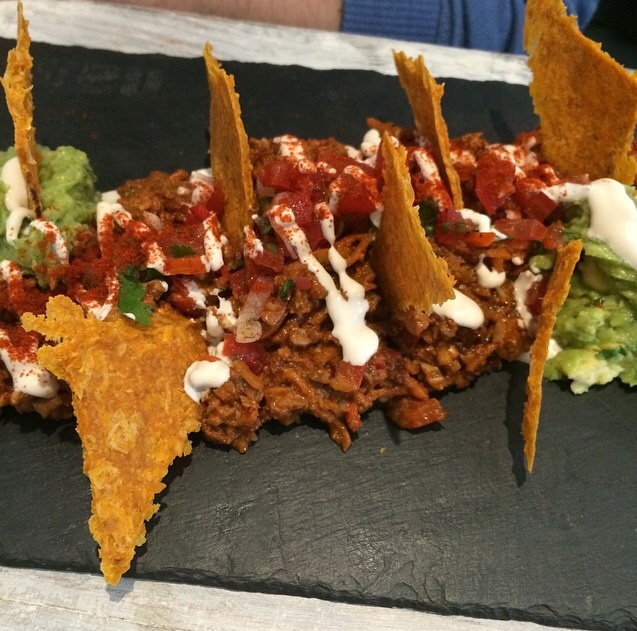 Their chilli is made from mushrooms, walnut, carrots and peppers, served with guacamole and corn chips! We tucked right in. And how about a palate cleansing juice to finish? 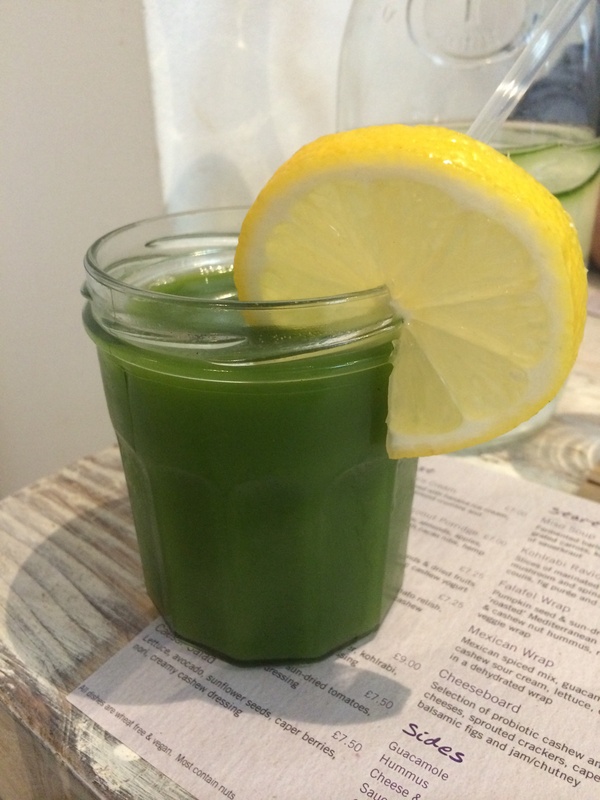 Made with apple, kale, celery, cucumber and lemon my Sweet Green was just what it said on the… jar. Sweet and so very green. 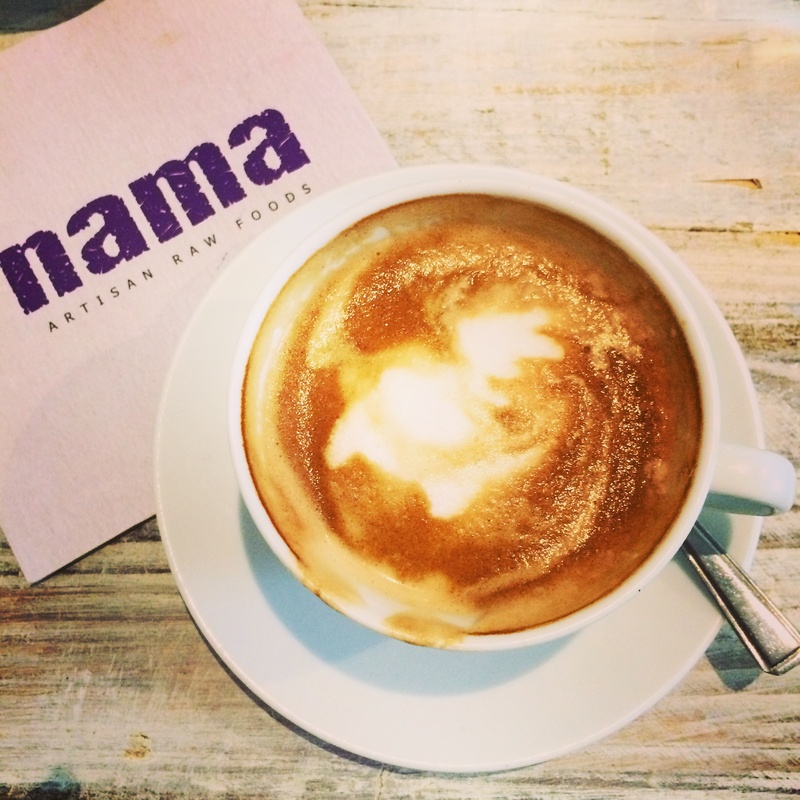 I didn’t want to leave Nama, its calming ambiance and healthy treats. I just only wish it was open 24/7.